Sometimes all you have is a split second to captivate your audience. With myShowcase you are putting your content center stage amongst customers, potential clients, and brand advocates. Users will enjoy discovering your message in a larger than life touch screen software experience. 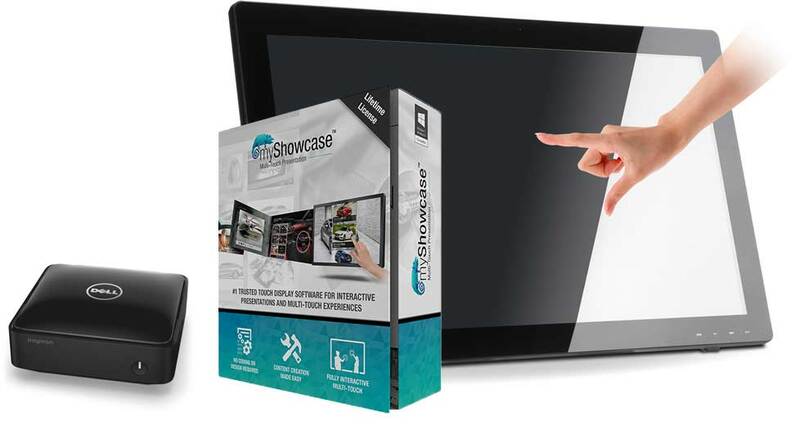 myShowcase supports multiple layers of interactive touch based content, allowing you to promote your message through a rich discovery process. Come see why so many people are using myShowcase and download the free demo today. Create larger than life interactive experiences that extend well beyond standard touch monitor sizes. 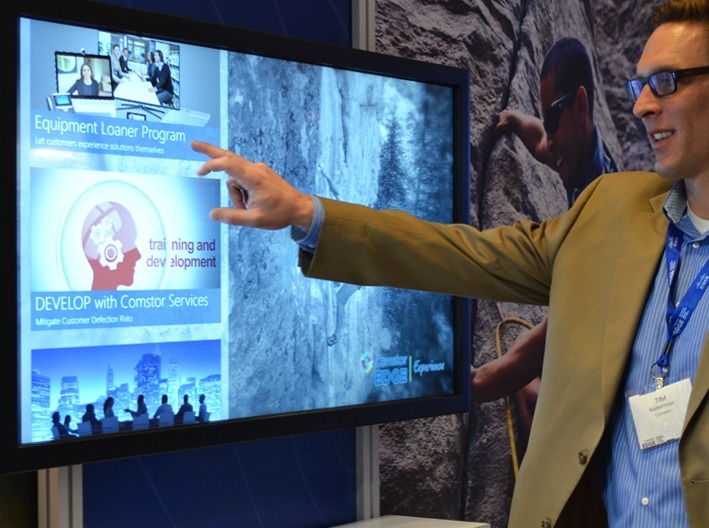 Consider leveraging interactive video wall solutions or multi touch tables that demand attention and illicit collaboration. 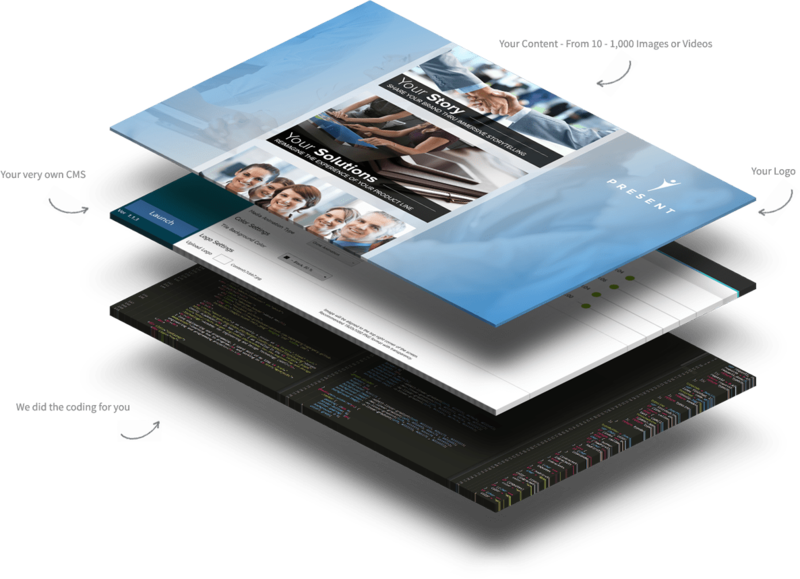 Create multi-touch presentations in just minutes. Upload 100’s of your HD Pics, Videos, and Text. Advanced UI/UX, custom look and feel. 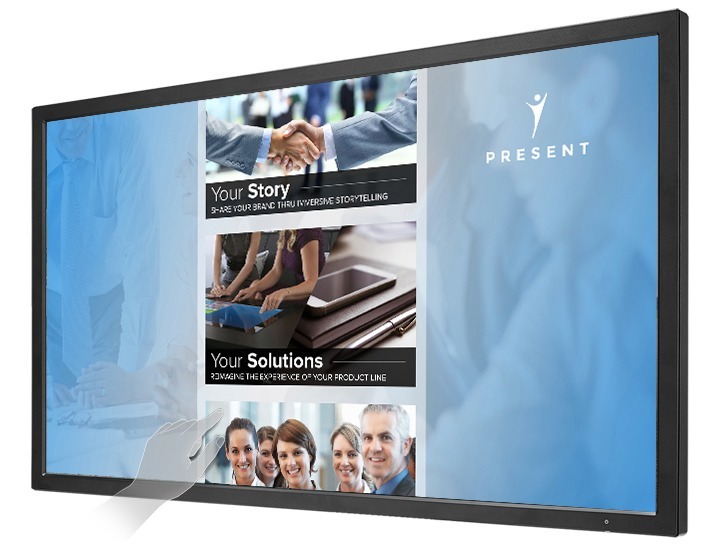 Ideal for large format touch displays, interactive kiosk, touch tables, and tablets. Rental solutions for both Mozayo Coffee Table and Presenter Table. Upload Your Content -> Publish -> Interact! Behind a beautifully designed front end system lies myShowcase’s highly intuitive content management platform. Here we have made it pleasantly simple to create, update, and manage your interactive presentations. Once you have your library of media organized, quickly upload your assets and build custom looking touch experiences in minutes. Leverage various pre-defined settings and templates to give your presentation a truly unique look and feel. With myShowcase’s media share feature, you can extend your interactive presentation well beyond touch screen. Users can send media to their own email for future reference and consumption of valuable information. Capture valuable information and generate leads. You can create a fully interactive presentation without having to deal with complex software or even thinking about coding. We carefully designed a timeless wireframe with a pre-built vertical category–just get creative right away. Editing or changing anything on your presentation happens directly on each section, and is as easy as typing an email. Get help and support from myShowcase experts 24/7. We are here to make sure that your next event is a success. myShowcase is highly adaptable and ideal for a wide range of use cases. Showcase your latest products, solutions, and capture leads. Create fully interactive donor wall presentations and engage your campus. Give your exhibits a face lift with a fully interactive make over of rich media. Engage your clients through a discovery driven interactive digital experience. Get a turnkey solution with a 32”, 46”, 55”, or 70” touch monitor PC bundle with the software. Need to customize your myShowcase presentation? Get in touch with our team and let us give you an idea of how you can take myShowcase to the next level.